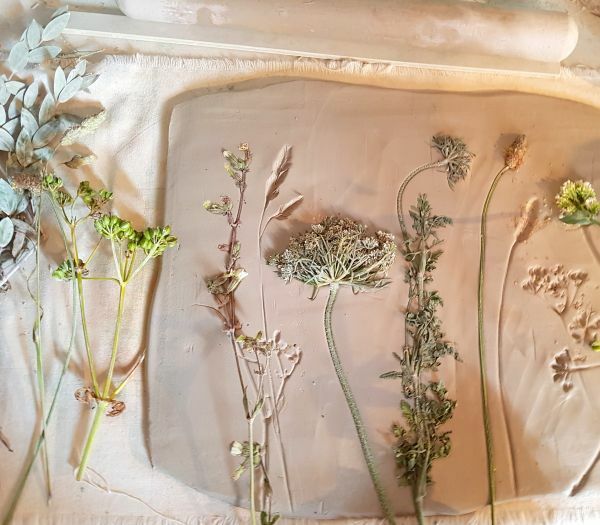 A few months ago I was asked to make a set of botanical inspired square ceramic tiles to act as a splash-back on a kitchen wall behind a hob. The customers were a lovely young couple living in a nearby village with their 2 children, doing up their dream home. 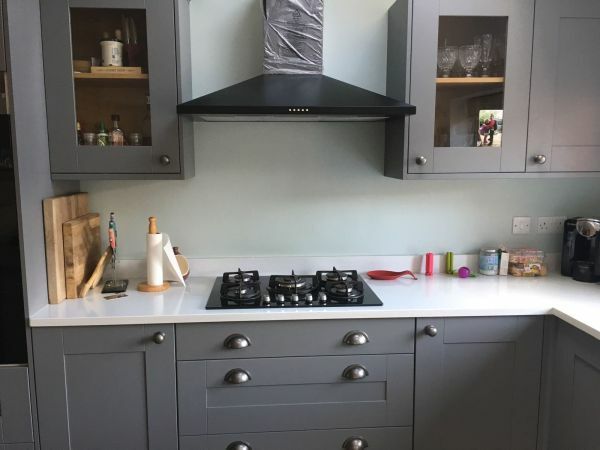 They sent me photos of their kitchen so that I could see the colours of the surrounding walls, and kitchen units. 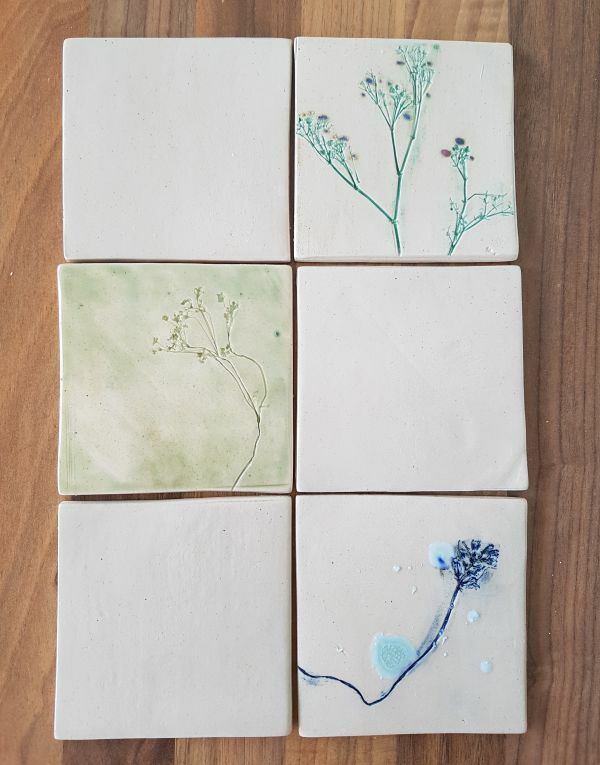 Based on the existing duck egg walls, slate grey kitchen units, and what the couple asked for, I created 4 sample tiles (see first photo) in a range of three different greens and a striking blue. Much to my surprise, the clients really liked all four designs and wanted to incorporate each of them into their splash-back. 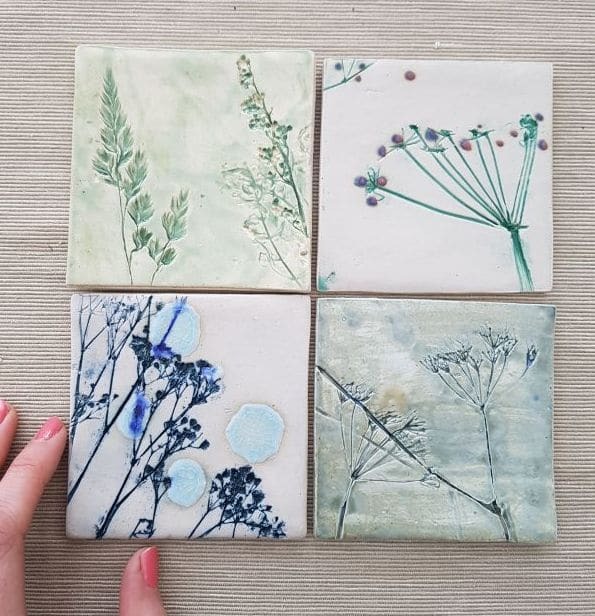 We agreed that a large area of all 4 of these botanical designs would look too busy and cluttered with too much going on, so I made some plain tiles to go in-between every other botanical tile. The simple and cleaner look to the tiles separated with plain cream coloured tiles with a shiny glaze coating them was just what the overall design needed. 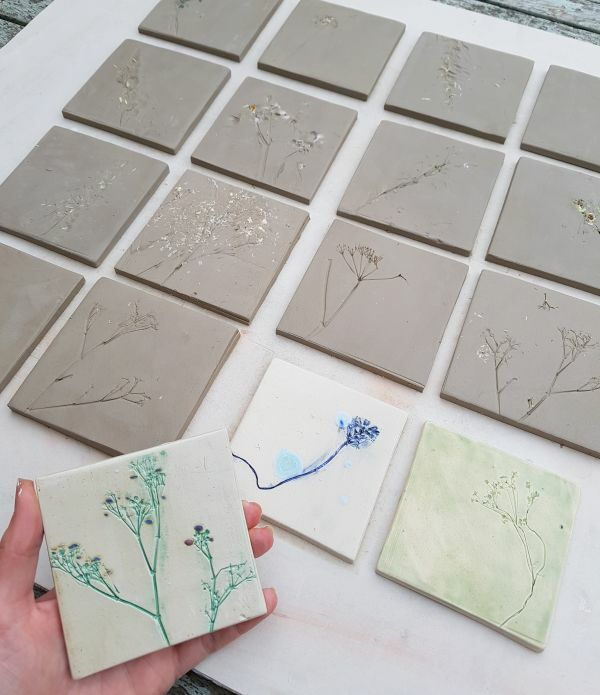 Each tile is handmade with love – by rolling out the clay when soft, impressing with designs, cutting to shape, and leaving to dry before glazing and firing. The process can be quite slow as it is important for the tiles to be dried slowly to avoid warping and cracking. I’m loving these tiles to much, that I might even make some to go behind the taps in our bathroom at home.